Minor fractures, usually referred to as stress or hairline fractures, are a type of fracture that results from small cracks or severe bruises within a bone. These fractures involve only the bone, without affecting the surrounding tissue. These types of fractures commonly occur among athletes—most often in the legs, feet, heels, and ankles. Treating hairline fractures promptly is essential for proper healing and the prevention of long-term complications. Although anyone can experience a minor fracture, athletes tend to experience these more often because they frequently engage in the repetitive movements and overuse that lead to these injuries. Athletes are also less likely to allow sufficient time for healing between injuries. Other causes of fractures include changes in the type of activity, or an increase in an activity’s duration or intensity. For example, switching from hiking to running, or from swimming to tennis, places greater stress on new areas, causing bones to breakdown more rapidly than new bone can form. Similarly, if you suddenly increase the distance or frequency of an activity, you are more likely to experience a stress fracture. Aside from athletes, other groups at a high risk for fractures include women and anyone suffering from osteoporosis. Women are often more prone to stress fractures due to a combination of extreme dieting and exercise, which leads to premature osteoporosis. Likewise, anyone who suffers from osteoporosis has a greater risk of fractures, since the disease causes weakening of the bones. 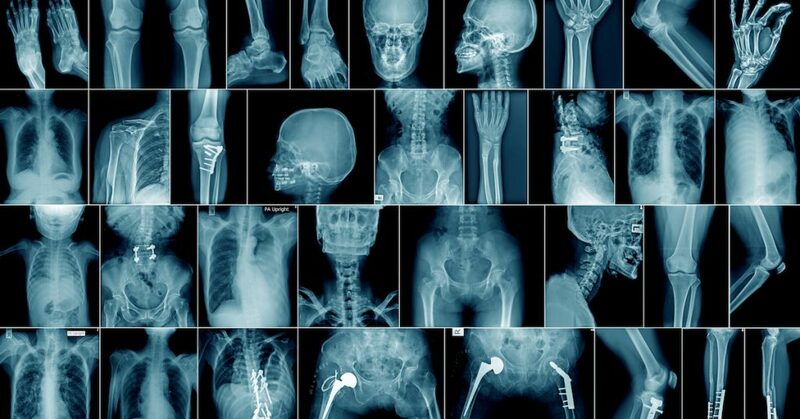 As bones lose strength and density, they become more susceptible to injuries. Common signs of fractures include pain, swelling, tenderness, and bruising. By far, the most common sign of a fracture is pain, particularly pain that improves with rest and increases with movement. If you continue in the activity that caused the fracture, the pain will only get worse over time, especially if the activity is a weight-bearing one. Left untreated, a minor fracture can turn into a major fracture, requiring more time to heal, and possibly resulting in chronic, lifelong pain. After asking about your medical history, general health, risk factors, and treatment expectations, your healthcare provider will perform a physical examination. This will likely involve the application of gentle pressure to the injured area to determine whether it causes pain, which may be an indication of some type of fracture. An X-ray or MRI may be required to confirm the diagnosis or to determine the exact type of fracture. In some cases, your healthcare provider may recommend a bone scan, which detects an increased blood supply to an area. This indicates the bones are repairing, and suggests there may be some type of fracture. It can’t specifically pinpoint the type or severity of a fracture, however, since other conditions can also cause an abnormal result. Once a hairline fracture is diagnosed, you will be advised to keep your weight off the injured area. You may require a cast, crutches, or protective footwear to avoid further injury. Stress fractures can take from six to eight weeks to completely heal. In extreme cases, a hairline fracture may require surgery to place pins or screws that will hold the bones together for proper healing. Make sure you modify your usual activities during recovery. Swimming and cycling may be good alternatives to high-impact or repetitive activities. Always check with your healthcare provider first, before participating in any activity. Do not resume high impact activities until after your injury is declared fully healed. Even then, you will need to gradually return to your normal exercise routine. There are several treatments you can try at home before seeing a medical expert for an evaluation. The typical home treatment for a minor fracture includes rest, ice, compression, and elevation. This method is often referred to as RICE. Non-steroidal, anti-inflammatory drugs (NSAIDs), like Aspirin, may also be used for pain and swelling. If the pain continues or grows worse, see a qualified medical professional immediately to avoid further complications. With on-site X-rays, your local FastMed provider is able to quickly evaluate, test, and diagnose hairline fractures. We are also conveniently open 365 days a year with extended hours to help treat these injuries. Walk in at your convenience, or check in and register online first to save time.